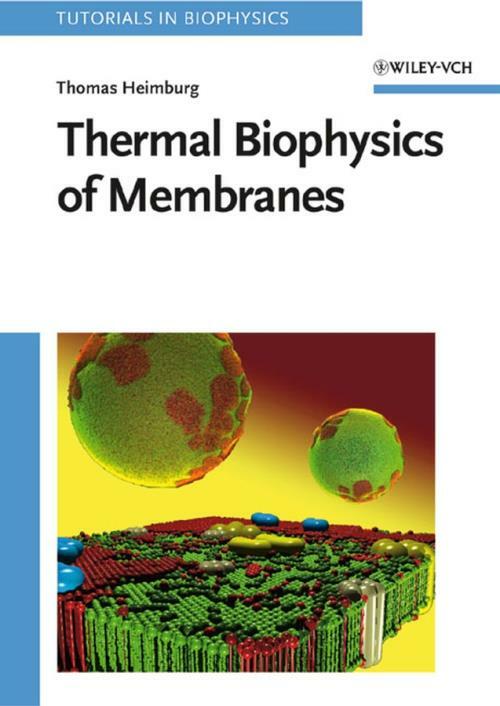 The author uses classical thermal physics and physical chemistry to explain our current understanding of the membrane. He looks at domain and ′raft′ formation, and discusses it in the context of thermal fluctuations that express themselves in heat capacity and elastic constants. Further topics are lipid–protein interactions, protein binding, and the effect of sterols and anesthetics. Many seemingly unrelated properties of membranes are shown to be intimately intertwined, leading for instance to a coupling between membrane state, domain formation and vesicular shape. This also applies to non–equilibrium phenomena like the propagation of density pulses during nerve activity. Wiley Tutorials in Biophysics is a series edited by A. Herrmann and K.–P. Hofmann. Biophysics is the branch of physics focused on the study of biological systems. This series adresses the key issues within this rapidly growing field of research.